To counter rampant livelihood challenges in rural parts of Mukono, Kayunga and Buikwe District, T.A-CRUSADE- UGANDA is re-establishing it’s Goats, Poultry and Piggery Project but this time round the project is intended to not only supplement organisational incomes as was the case in the past but is now being used as demonstrational training centre run on a Cooperative basis from which the local people after learning the modern skills are introduced to a Revolving Animal fund. The revolving fund principle is designed to work in the project area through identification and selection of direct beneficiaries, and grouping them into Community Farmers Groups (CFGs) of 12 members each, legalization and registration of CFGs with the District Community Development Officer, to obtain a tax exemption status and opening up a Bank Account. This is followed by training of CFGs in modern Piggery management practices through workshops sensitizing them about the proposed revolving fund principle which states that 2 of off springs produced are given to other new groups in subsequent years to ensure project’s expansion and sustainability which involves beneficiaries to write an application requesting for an improved piglet. The CFGs review the applications and make their recommendations to T.A– CRUSADE– UGANDA which finally approves the nominees to receive the piglets. All the nominated beneficiaries are required to sign a contract in which the beneficiaries will agree to pass on 2 piglets from the first pregnancy. After which they become the owners of the parent pig. Of the 2 Piglets ploughed back into the project, T.A- CRUSADE- UGANDA will retain one at its Demonstration Farm to ensure continuity. To ensure sustainability of the project, T.A– CRUSADE– UGANDA and the Community members, especially those on the waiting list, keep an eye on the compliance of piggery management practices by the host farmers. 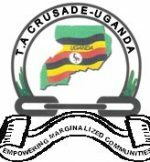 Beneficiaries also receive veterinary/ technical advisory services from T.A– CRUSADE– UGANDA. Also using the revolving fund model, piglets produced are given to other new applicants in subsequent period to ensure project’s expansion and sustainability. After registering these target groups as CFGs with the Ministry of Gender and Community Based Services. Individual Farmer groups are assisted to open up saving accounts at a local Bank to ensure they learn the culture of saving.